Most men start to lose hair at one point in their life. For some, this happens as early as in their 20s or 30s, while for most this happens much later. Some men can barely notice the effects of this, while some go bald in matter of a few years. Also, some men find this quite unnerving, while others could not care less. Well, Propecia is the medication for the first group, namely those men who wish to slow down this process of losing hair or even stop it altogether. 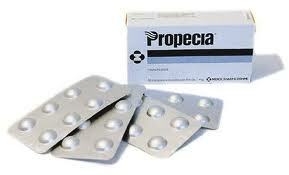 Propecia is the most popular and the most efficient medication for this. Propecia has a very interesting history. The development of this medication started after a strange combination of events that included the discovery of a certain group of men in the Caribbean who had a deficiency of the enzyme known as 5-alpha reductase and who had certain developmental differences from the majority of men. It was also observed that these men never suffered from enlarged prostate and that they never lost their hair. Further studies showed that the mechanism behind the enlarged prostate and balding is the same and that it involved the change of free-roaming testosterone into dihydrotestosterone with the help of the aforementioned 5 alpha reductase. This lead to the pharmaceutical company trying to develop a medication that would inhibit this enzyme. The medication was finally developed after long development and it was named Finasteride. 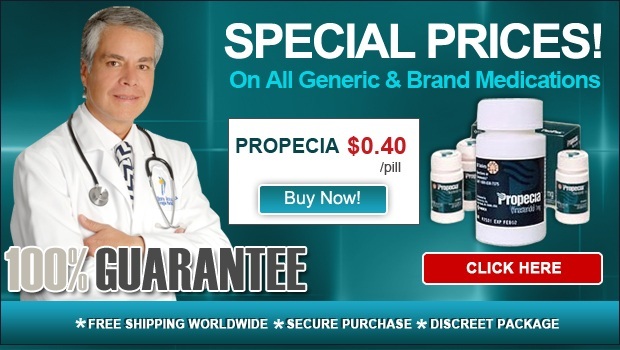 The formulation of this medication used for treating enlarged prostate got the name Proscar while the formulation used for slowing down and stopping hair loss was named Propecia, the brand drug we are talking about on this blogsite. As you can see, the way in which Propecia works is pretty simple. It inhibits the functioning of 5 alpha reductase and thus decreases the levels of DHT, the newly-formed relative of testosterone which is much more aggressive. This way, the effects of this hormone, such as deterioration of the follicles and their subsequent death are slowed down and in cases even prevented altogether. 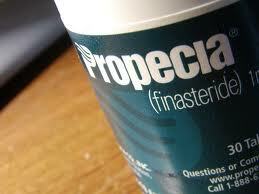 It is important, however, to remember that Propecia should only be used in consultations with your doctor. It is actually quite a potent medication and as such its use can result in certain side effects and other unwanted effects if it is used by men who suffer from certain conditions that can be made worse by this drug or if it is used in amounts that exceed the recommended dosage. Another very important thing to remember is that Propecia tablets should never be handled by little children or by pregnant women. Namely, even though the active ingredient, Finasteride is protected by a coating, there is still a possibility that it might come into contact with their skin which would absorb some of the medication and cause certain developmental issues in little children and the fetus in case the tablets are handled by pregnant women.